My daughter and I took our annual trip to the soccer specialty store to buy goalie gloves. This trip is necessary every year because pre-teen girls grow out of gloves quickly, goalie gloves do not really last that long and old goalie gloves smell something awful. My daughter is the full-time starting goalie for an outstanding U12 team. 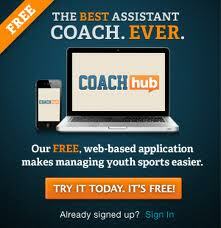 The team plays in a regional league and top tournaments. It's some serious soccer, so I wanted to get her some serious gloves. Before we went to the store, I learned the following about gloves. Gloves are the single most important piece of equipment that a goalkeeper needs. Some rec level younger kids play without them, but serious goalies would never play do that. 1) Level of play - How serious a goalie is your kid? If your kid is a full-time goalie playing against top talent, then invest in gloves that will protect him or her and give them the edge to make difficult saves. Spend between $50 to $150. If your kid is younger (U10 and under) or plays at a rec level or is a part-time goalie on a club team, find a decent pair of gloves for $20 to $30. I bought gloves at the lower end of the high quality spectrum for my U12 player. 2) Number of games - How many games will your kid be playing in the next year. The more expensive gloves will last longer than the cheaper gloves. So if your kid is playing 2-3 games per week year round, it might make more sense to purchase higher quality gloves. My daughter plays 60 games per year. I figured this warranted higher quality gloves. 3) Number of practices - If the team your kid plays on practices all the time and plays a lot of games, you might want to purchase high quality game gloves and lower quality practice gloves. My daughter will use her slightly worn and small gloves from last year for practice. 4) The size - Comfort is the most important factor. Find a glove that protects but does not restrict. Properly fitting gloves is key. Goalie gloves come in sizes 4 to 12. You can use trial and error to determine the correct size at a store, If you are buying on-line, you can measure the circumference of your palm just below the fingers, exclude your thumb. Add one 1" to the measurement and round up to the next whole number. That will give you your glove size. It is not a perfect system because some manufacturers gloves run small and others a little bigger. Regardless, goalkeeper gloves should be worn slightly big. The fingers should extend about a 1/4 to 1/2 inch over the tips of your fingers. My daughter bought size 7 gloves. 5) The Conditions - Gloves are made of various combinations of latex / foam / rubber. Some are made for all weather, some for wet weather and others for hard surface / turf. The softer gloves provide more grip and control but do not last as long. Less soft, more durable materials are for goalies who play on hard ground or turf. Note: the wet surface gloves are hot and slippery when used in dry weather. I also learned about under-glove gloves for keepers allergic to latex. My daughter selected an all weather glove. If she advances to HS or College, perhaps we would buy more than one pair of gloves so she can use the optimal glove for the conditions. 6) The Features - My daughter had her hand stepped on last year. She was not hurt, so she was convinced that the reinforced finger spines were the reason. She wanted gloves with finger spines again this year. Ventilation, range of motion, wrist closures, wrist protection options, color etc. are all personal preference features. My daughter did not like the color of the gloves she selected, but she chose comfort over color. 7) The Comfort - The most important determining factor is comfort. That is why, I would rather purchase goalkeeper gloves in a specialty soccer store with a large selection. There are some great eretailer selling gloves if you like to shop on line - just make sure you pick a retailer with a customer-friendly return policy. 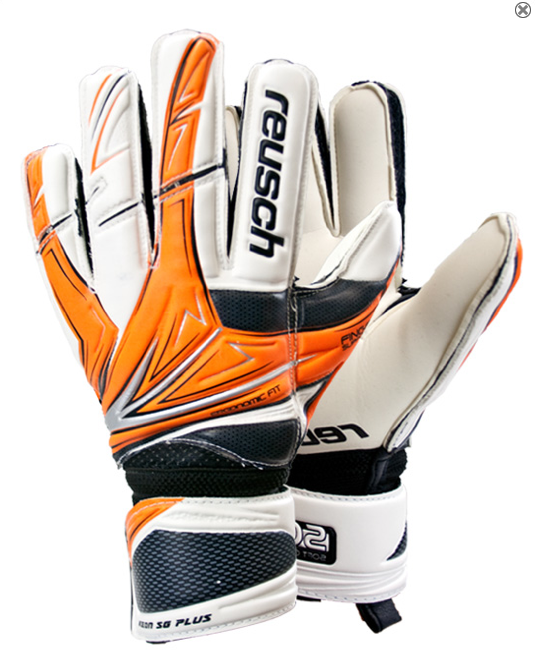 My daughter selected the Reusch Keon Plus Finger Support Goalkeeping glove. The cost was $54 + tax. They are really looking good. I will try to grab my own. Greetings! Very funny! Thanks for the post! I also need to buy goalie gloves for my son. I remember the times when we played without any protection. We got many traumas. But now I prefer to keep fingers of my children in safe. Thank you for the advice.